The last time I stayed in a Premier Inn, I noticed that they are now serving an 'eat as much as you can' breakfast for about £7, jumping on the popular practice in many hotels in the UK. So it is no surprise to discover that hotels that provide such buffet breakfasts are being criticised for binning vast quantities of perfectly edible leftover food, once the breakfast is over. Likewise, suppermarkets have aslo come under fire for fuelling food waste with bogus use-by dates and buy-one-get-one-free deals that encourage us to overfill our shopping trolleys. I have always been a supporter of 'stop food waste' campaigns and thankfully our household has a rigid code of practice when it comes to using up leftovers and throwing nothing away. I recall my wife making strawberry jam from a few leftover fruits a few hours before departing for a holiday, rather than bin them. 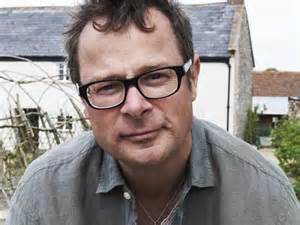 And so the comments that TV chef and food campaigner, Hugh Fearnley-Whittingshall (below), made this week, get my full support, His argument that stores reject huge quantities of perfectly good fresh fruit and vegetables merely because they are blemished or misshapen is music to my ears. 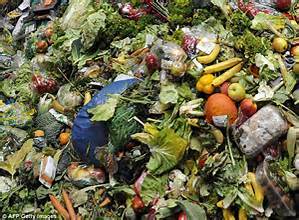 He said that attempts by retailers and the UK Government to blame families for 'more than half' of the food waste was 'mysterious'. 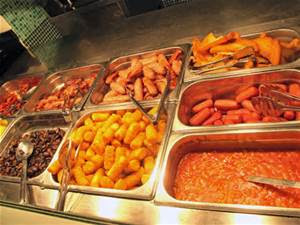 Hugh was giving evidence to a food waste inquiry by MPs on the Environmental, Food and Rural Affairs Committee, last week, and is reported as saying that the breakfast buffet is one of the big food nightmares and like a supermarket shelf, it must always be inexhaustible, look full and look perfect. 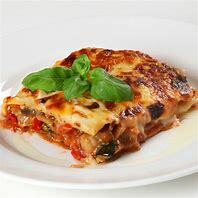 He added that it must look like that when the first guests come down to eat at 6.30 in the morning and when the last guest goes on their way. One can only imagine the horror of what happens to the leftover food after the last person walks away. So what can we do, I hear you ask? We must urge the Government to set hotels, retailers and the supermarkets a legally binding food waste reduction target, as a matter of urgency. And as for our own household practice - if you can reduce what you buy each week to what you eat each week, then this will go some way to reducing our growing household food waste.